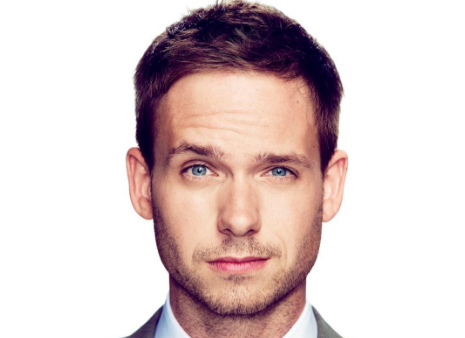 Reasons Why Every Girl Wants a Boyfriend like Mike Ross of "Suits"
“The Suits” has a different place in people’s mind. The series is not about how they always win instead about how they win and how they handle their losses! The two main characters in the series are Harvey Specter and Mike Ross. While Harvey Specter is always on the perfect side, there are some qualities that only mike has. Qualities that every girl wants in her boyfriend and every girl looks for and well some of them are really easy! Do you remember your best friend’s boyfriend forgot her birthday? Every man forgets some important dates but that’s not the case with Mike. He will remember everything you said and everything you did. Who wouldn't want a man like that? The one who never forgets and lets you forget everything! All he thinks about is his work all time! He day starts with work and his day ends with work. A simple guy who is honest in his work and even works hard and who is loved by all. Girls respect the hardworking guys since it shows how trustworthy and loyal they can be. Apart from the work, he thinks about his friends and family and makes them feel that they are important. Mike even cares for his grandma while at his age all people stop recognizing their parents. Remember when Jessica says that to Mike? Well Mike always has a soft heart for everyone and has sympathy for everyone be it his client or the one he is fighting against. While it’s said that most men are not at emotional but mike shows that every man is not the same. Yupp! They care for people and they do think a lot and they end up doing no wrong with anyone and Mike is one of those men who show that they care. Mike never wanted a girl who is dressed beautifully; instead he cared for the real beauty. The first time he saw jenny or Rachael he really realized that they are beautiful from the inside. Going for a girl who is intelligent and caring is something that comes from inside and the truth is that girls really want guys who adore them in their pajamas. No matter what he knows and even if by saying truth he is going to be blamed still he does keeps to it! We have situations where he spoke the truth but ended up in misery. He knows that he has many options apart from saying truth he still opts for it no matter how hard truth will affect him and being truthful is always a must thing that a girl wants. If we talk about how many times he trusted his own best friend and ended up getting backstabbed, or that he helped him every time he was in trouble but got wound up himself, we think that he is too innocent sometimes. He also helps people sometimes by going out of his way. If he cares for them he proves that too. Saying something and being there are always two different things and if you always do the “being there” thing then a girl will never ever leave you. Well having a memory which you can never forget can make you think whatever you want to but even if you don’t have a memory like that men think others are just idiots. Confidence is always good but sometimes over confidence gets you in trouble and having a mindset that the other person is a fool can actually prove you wrong. If Mike screws up anything then he never repeats it but some men just don’t understand that flaunting never works in front of a girl. There is a huge difference between forgiving one person and forgetting one. Every time he is expected to help, he helps but at the same time he tells the person’s mistake that they did no matter what is the situation. In the end Mike is always a great person and he does whatever his heart says just like other men!